A quick reminder that December 31st sees the end of Version 3 preferential upgrade pricing. Until this date, MindGenius Business V2 customers can purchase an upgrade for £88 / €101 / $141 per single user licence, and MindGenius Education V2 customers for £29 / €33 / $46 per single user licence. Discounts are available for multiple user purchases, please contact info@mindgenius.com for further details. After this date, normal pricing will apply. For more details on pricing, please visit our online store. With the festive season approaching fast, some of us may have completed all of our gift shopping. For those of us who aren’t quite so organised, MindGenius can offer you a quick way to cut your planning time down and simplify those last minute shopping trips. 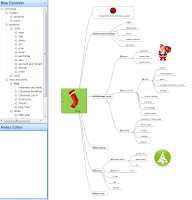 Start a new map and add branches for each person you need to buy presents for. You can then go on to work out a budget for each person (and export to Excel when you are finished if necessary). 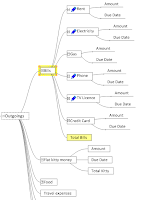 Once you have sorted out your budget, you can start to add presents to each name. If you need to research where you are going to buy your presents from, you can add attachment links to sites that you need to visit, or have visited or any other relevant documents you would like to add such as a spreadsheet budget. Once you know which gifts you wish to get for people, you can then start to simplify your buying experience. First of all, “Edit Categories” to add in the stores or websites you are planning to purchase your gifts from. Next, apply the categories to each gift, if you are unsure of where the gift is coming from, don’t add a category to it. 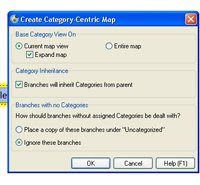 Once you are satisfied your map is complete, click “Create Category Map.” This will create a separate map for you, broken down by each category. This allows you to see at a glance what you need to get from each store so you don’t need to make repeated journeys to the same place. You can print your map and take it with you to the shops. Take a look at this month’s Hints and Tips article on printing large maps if you have a lot of presents to buy. It might also be helpful to follow a similar process for your food and drinks plans for the holiday period and you could break it down by day eg Christmas Eve, Christmas Day, New Year’s Eve, New Year’s Day. 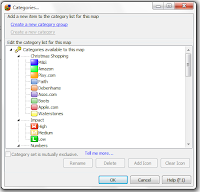 And if you create maps for this year, you can make them a starting point for next year, saving you more time and ensuring you don’t purchase the same present for people again. Holiday shopping in half the time! Have you used MindGenius in this way? How did you find it? In these days as more and more of us strive to have paperless offices, we try and print fewer documents but sometimes it is required if you are unable to access a PC, for example when attending a meeting. That’s why there is a print option in MindGenius but when you are faced with a large map the text can be too small to read. However, this can be fixed by amending your Printing options. To check what your print is going to look like, check the “print preview” option. If the map is too large, the text will be too small to read, rendering your printed map unworkable. Print Preview also has it's own Ribbon to help you configure your printed maps. 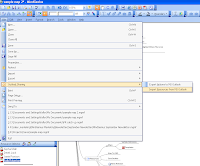 Select 'Page' from the Print Preview Ribbon to Access the Page Setup dialog. The default here is to fit the map onto 1 page but there are options to print the map on multiple pages. Start a new page at each level 1. Your map will now print on multiple pages. You can use the 'Pages' option to preview the content of multiple pages. The first page shows only the level 1 branches and represents an index for the following pages and each page auto is orientated to suit the content. If the content of any of the individual pages is still too large, you can use Page Breaks to break the map down further. To do this, identify a section of the map that could sit on its own page. 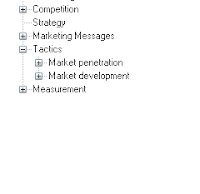 From the Insert Ribbon (or right click context menu) select 'Page Break’. This area of the map will now print on its own page. 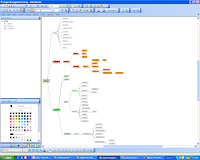 Using the Print Map dialog, you can print text outlines in addition to the map image by choosing to include branch notes or not, or only branches with notes. This is useful for generating presenter notes, or for colleagues happier reading info in this linear format. Do we now live in a paperless business world, or is this too difficult to achieve? 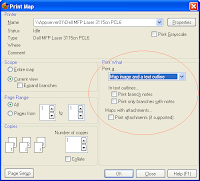 Do you print maps, or any other documents, if so, what are the main reasons you do this? Tammy Strickland, aged 15, has been a MindGenius user since the age of 9, using it to improve her study technique, and she has found it so helpful in achieving excellent results that she has recently set up a business, sharing her maps with other students sitting their Irish Junior Certificate exams. Her father, Niall, is a long term user of MindGenius, going back to the early Ygnius days of the product and he introduced her to MindGenius. According to Niall, Tammy took to the method “like a duck takes to water” and since then she has actively used MindGenius to effectively study. After using the tool for her Junior Certificate examination programme over the last 2 years, Niall commented to Tammy that the quality of her work was of such a high standard, and the results she achieved in the exams so good, that she should sell her notes to other students. Tammy thought about her dad’s idea and agreed that her MindGenius study notes could help other students going through their exams and, with a little help from Niall to set up the web pages, Tammy soon had her site, www.JuniorCertMindmaps.com up and running. All of the maps and the work on the site are Tammy’s and now it seems she is on her way to having quite a successful business. The first purchasable product went live in November and despite the fact it has yet to be fully publicised, Tammy has sold over 100 maps to date and had several hundred downloads of her sample maps. 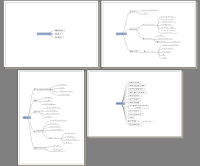 "Mindmaps created with MindGenius are a terrific aid to memory because they allow you to feed your brain in a way that allows you to effortlessly soak up knowledge. This can turn average students like me into high-achievers." 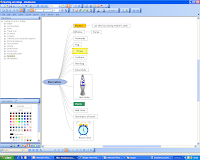 The first subject to go live on the site was Science, which incorporates 57 different mindmaps and the entire curriculum for that subject but this will be extended to several hundred mindmaps available for purchase in 10 different school subjects, with another 4 subjects due to go live over the next 4 weeks. Maps for French will go live this weekend. Have you or your students/children used MindGenius for studying? What was the biggest benefit it brought to your efforts? MindGenius customer, Birch Worldwide, a UK based channel marketing company have today appeared in a Financial Times article discussing how they believe using MindGenius to capture ideas from their world-wide workforce has allowed them to add $1million dollars in additional revenues. 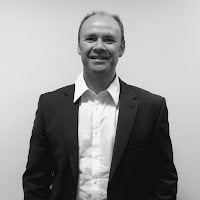 MindGenius Commercial Director, Dustin Newport has been explaining to Computeractive why he feels that IT buyers now only spend money to save money. The best time for a workplace meeting is 3pm on a Tuesday; according to a study because it is the time most attendees are likely to be free. Since meetings that don't make good use of time and don't achieve progress can be a big part of working life, what can we do to improve them? 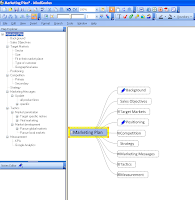 If you are the organiser create a framework in MindGenius, and outline the purpose of the meeting. You can then distribute it as an agenda so all attendees understand the reason the meeting is being held. If you are an attendee gather your thoughts in a map. This will only take a few minutes and make you look prepared when you arrive at your meeting. Consider how long the meeting needs to be and remember that the longer a meeting is, the more attendees’ attention may wander. Try out video conferencing or online meetings to ensure there is no time (or money) wasted with attendees travelling to meetings. There are lots of tools to facilitate this on the market now such as Webex or LiveMeeting and many of our customers use such tools along with MindGenius. Contact us if you would like some more information about this. Capture and fully document the discussion in real time with MindGenius. This also ensures there is no need to type up meeting notes afterwards. 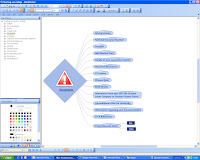 The map can also be exported to MS Word, if required, to distribute to all attendees. Use MindGenius to prioritise, agree and assign actions, resources and timelines, meaning actions can be started immediately and it’s immediately obvious what progress has been made. Pay attention to the meeting and wherever possible don’t fiddle with cell phones, PDA’s or laptops as it puts everyone off, not only that, it’s really difficult to give two things close attention! 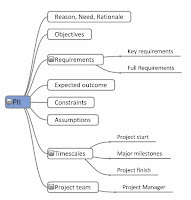 Use the map as a live working document and reference point to track developments over the course of a project. We do this internally at MindGenius, and it is especially helpful on larger projects and allows us to keep on track of where we are and where we need to be. What are your tips for ensuring meetings are productive and effective? 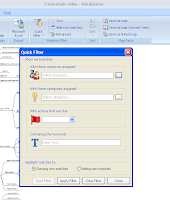 Last month we looked at the new MindGenius Version 3 Ribbon User Interface, which is the same style as Microsoft Office applications. 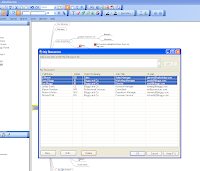 The rationale of grouping logical features and functionality together means for most tasks within MindGenius, it is easier to access key functionality. However, for existing users, who may have an established list of features that they regularly use, you can still get easy access to them by customising the Quick Access Toolbar. Have you been using the new Ribbon User Interface? How are you finding it? From Stephen Fry threatening to quit over unkind jibes, to Ashton and Demi's support of SUBO, Twitter has constantly made the news this year and has seen a phenomenal rise in its profile with a knock on rise in followers. Twitter is a micro-blogging platform that allows anyone to set up an account and post 140 character updates, or “Tweets” as they are known whenever you want. You can both “Follow” other people (you see their Tweets) and they can “Follow” you (they see your Tweets). At first glance, Twitter can be difficult to get your head around and according to a recent survey 40% of Tweets are “pointless babble.”* However, this means that 60% of Tweets have been classed as relevant and interesting. Many large organisations have realised the benefits of Twitter such as Ford, Starbucks and Dell. Ford have several accounts which Tweet about various things e.g. customer offers, company internal news and specific ones for different types of Ford vehicles. Starbucks post customer offers and talk about these offers with their customers. Dell also have a number of profiles, all offering specific information eg DellOutlet posts offers on recently refurbished machines. So, Twitter can be used for offers, as a discussion forum, and another way of engaging with customers. However, more than this, it can also be used to listen to what your customers are saying about your business, Search tools such as search.twitter.com or applications like TweetDeck allow you to keep track of what’s being said about your company, products and industry. MindGenius also recently launched a Twitter page to keep all followers up to date with the latest news, product releases and hints and tips. You can follow us at www.twitter.com/MindGenius. Like everything MindGenius does, we like to let our customers have a say on what we offer. What kind of things would you like to see on the MindGenius Twitter page? Have you set up a Twitter page for business? Do you have any other tips you would like to share? 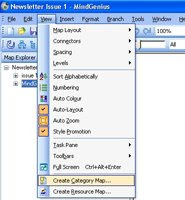 Do you work in an environment where some of your colleagues don’t have access to MindGenius, meaning you must export maps to other MS Office applications before you can share your thinking and ideas? 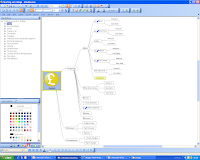 If so, the release of the free MindGenius map viewer will allow you to distribute your ideas in their original format. As well as allowing colleagues to view your maps, the Map Viewer also allows them to add Notes to branches, enabling them to review maps and add comments and feedback to your ideas before sending it back to you. 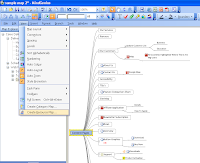 While currently a full trial version of MindGenius does turn into a viewer after 30 days, it does not offer the capability to add branch notes and the Map Viewer file is also far more compact which has seen it rolled out to several Enterprise customers' desktops. 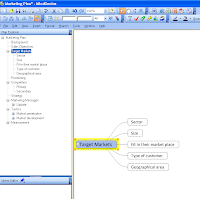 The new Map Viewer may also be helpful in the Academic world as it allows tutors or teachers to issue revision maps or project outlines to students and then instruct them to download the Map Viewer file to access them at home. The download is a straightforward and simple process which only takes a couple of minutes. Do you think your colleagues will make use of this new viewer? 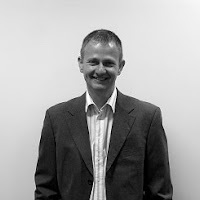 Derek Jack is one of the Directors at MindGenius Ltd and set up the company along with fellow Director, Donald Maciver. They developed MindGenius initially back in 2001 to support the successful compliance management software Q-Pulse. 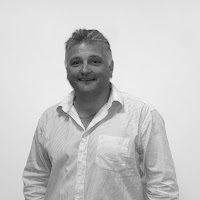 They soon realised MindGenius could be used to solve multiple business challenges and Derek utilises MindGenius on a daily basis. Here he talks about the tasks he finds MindGenius brings the most value to. 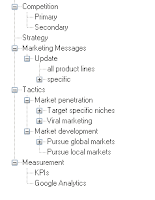 If you look in my “Most Recently Used” list (MRU) you will always find the Project meeting map & Commercial meeting map. These maps help me to control the business and show me at a high level what projects we are working on as well as the overall status of projects. In addition, the map allows us to drill down and see, what we achieved last week, what are the priorities for this week, specific actions required, are there any red flags to achieving this, and what do we need to do to overcome the red flags. This is a simple and effective way to keep on top of all Projects throughout the company. You'll also see maps associated with project stage 1 activity. Stage 1 is the inception stage of a project and involves domain analysis, brainstorming, gathering ideas, suggestions, user stories and enhancement requests. Post Version 3 we are already looking at which projects we will be working on next. 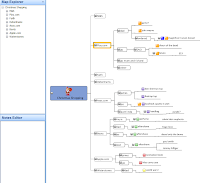 Already in the pipeline are; a map viewer (just released), our next maintenance release, a file converter which will allow users to convert maps from other mind mapping applications and many more. Using MindGenius allows us to capture and truly understand, what is being asked for and why it is being asked for before we initiate a new project. This guarantees that we know why every single new feature and piece of functionality goes into the product and we don’t just add “bells and whistles” for the sake of it. Any new features added must match with customer requirements and enhance MindGenius's ability to deliver business processes. We are always interested in customer product enhancement requests. What would you like to see in future versions?